Common wireweed, photographed at Bahia Honda State Park, Florida Keys, Monroe County, in December 2013. You've got to figure any plant named wireweed has got to be pretty darn tough. Sida acuta, common wireweed, is about as tough as it gets. Try pulling it if you find it growing in your yard and you won't doubt its strength. But that's just the beginning. Drought, browsing deer, even lawn mowers don't phase it in the least. That toughness makes wireweed a pest but it is also makes it an important source of food and cover for wildlife. Many say it has medicinal properties; more on that later. Common wireweed is a Florida native found thoughout most of the state. It's also found throughout much of the Southeast, with a toehold in Pennsylvania and New Jersey. It's actually found pretty much around the globe, including Asia, Central and South America. It's a naturalized plant in Africa, Australia and the Pacific, including Hawaii. It's often a lawn weed. Mowing doesn't inhibit it at all. It just adapts and grows close to the ground. Left uncut, however, it will grow into a woody shrub three to four feet tall. 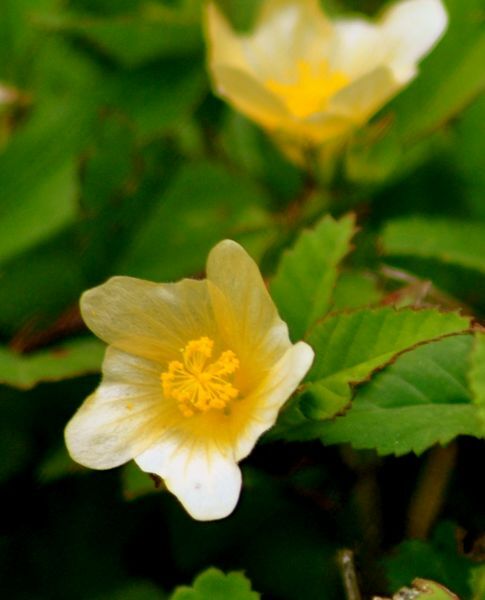 Its flowers have five mitten-shaped petals that create a pinwheel look. Another of its common names: fanpetals. Common wireweed is also found in farmers' fields, roadsides and other "disturbed" areas and in open fields. 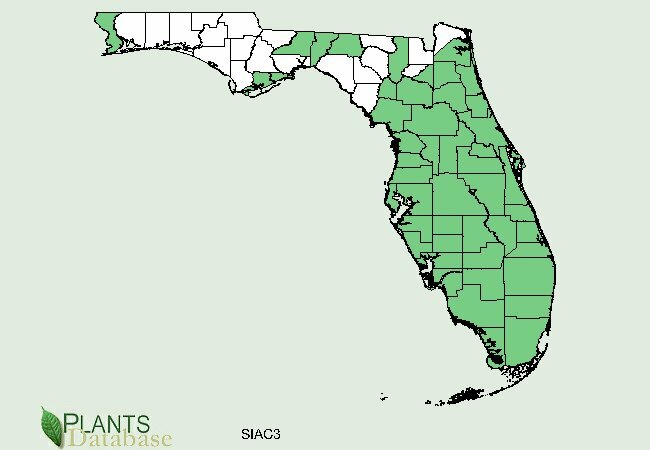 The University of Florida's Agricultural Extension Service actually recommends that property owners grow wireweed as potential forage for wildlife in places left in a natural state. It is relatively high in protein, about 24 percent, while white-tailed deer require forage that is at least 16 percent protein. Wireweed is also drought-resistant, browse-resistant and grows in a variety of soils. Birds, including quail and turkeys, and rabbits use wireweed as cover and for food. Common wireweed has widespread use in folk medicines pretty much everywhere it grows — except, the United States until relatively recently. It is used in Eastern medicine, particularly in parts of India and Nepal for a variety of conditions. It's considered to have wound-healing properties and is also used as an aphrodisiac. 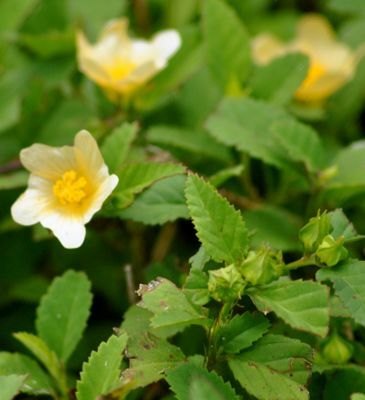 It's used to treat fevers, rheumatism, worms, aid digestion and soothe mouth sores. In some places, it's used to enhance "sexual capacity," while in others it's used as a contraceptive. Some studies confirm that the plant does have antimicrobial properties, at least in the lab, and could be effective against certain Gram positive bacteria, including staph and strep. Tests against other bacteria, including Gram negative strains and some fungi found wireweed ineffective. We've seen references to wireweed as a treatment for infections associated with Lyme disease, but experts warn that these are serious conditions and require antibiotics given by a doctor. Even herbalists recommend a bit of caution. Lyme disease is caused by Borrelia burgderferi, which is Gram negative. Among the many compounds that wireweed produces is ephedrine, which is used to relieve symptoms in asthma patients but can produce a host of complications for those with or without the condition. Wireweed has been smoked as a stimulant and used to adulterate marijuana. In the Yucatan, wireweed has been used to make brooms. 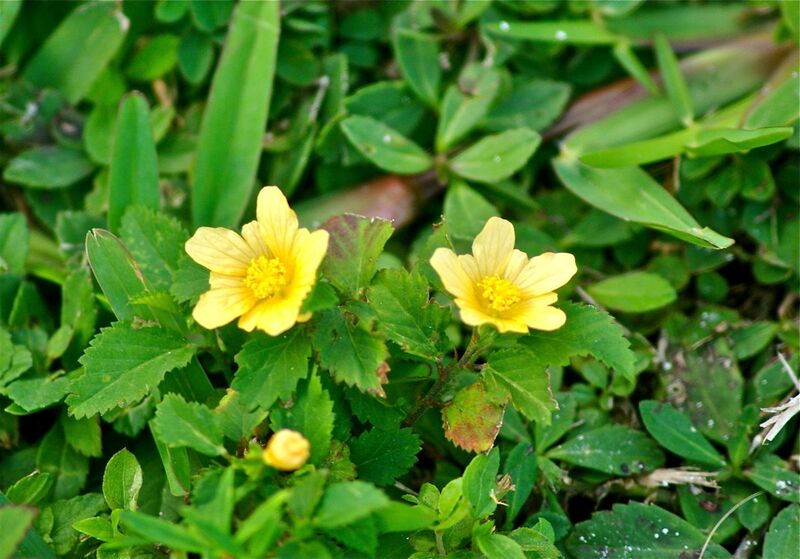 There are nine species of sida in South Florida, some of which are rare. All are members of Malvaeceae, the hibiscus family. Other names: southern sida, broomweed, spiny-head sida, ironweed and teaweed. 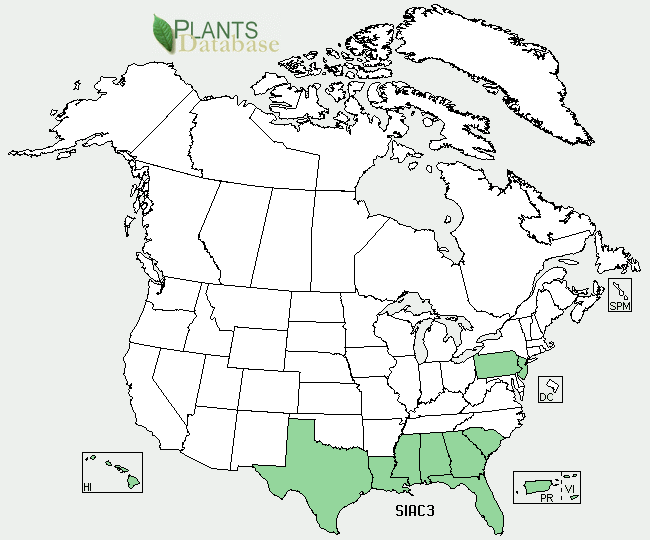 United States Department of Agriculture (USDA) distribution maps for Common wireweed.